Private family burial immediately after the service with luncheon to follow the burial. Age 74, passed away July 18, 2018. Lonny was born July 2, 1944 in Detroit to the late George and Grace (Conn) Johnson. 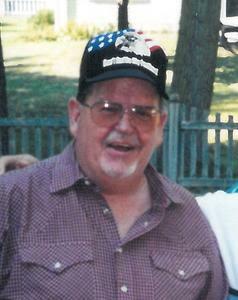 He is survived by his sister, Verenita (Harmon, “JR”) Keith; his brother, Don (Marilyn) and many nieces and nephews. He was preceded in death by his wife, Diane in 2016. Visit with Lonny’s family and friends on Saturday (July 28) from 10-11am at the Betzler Life Story Funeral Home, 6080 Stadium Drive; Kalamazoo (269-375-2900), where services will begin at 11am. A private burial will take place immediately after the funeral service and a luncheon will follow the burial at the Kalamazoo Baptist Church; 4445 Ravine Road; Kalamazoo. Please visit Lonny’s personal memory page at www.BetzlerFuneralHome.com where you can share a favorite memory or photo and sign his online guestbook before coming to the funeral home. Memorial contributions may be made to the World Vision.